The Exo Terra Terrarium Hinged Screen Cover is an easy-to-install cover for aquariums and glass tanks. Central hinges allow partial opening of the enclorsure without having to remove any fixtures, thereby reducing stress to the inhabitants and the risk of escape. The Exo Terra Terrarium Hinged Screen Cover is an easy-to-install cover for aquariums and glass tanks. Central hinges allow partial opening of the enclorsure without having to remove any fixtures, thereby reducing stress to the inhabitants and the risk of escape. The strong metal screen provides ventilation and allows necessary UV penetration while ensuring reptiles, feeder insects, and other small animals are safely secured. 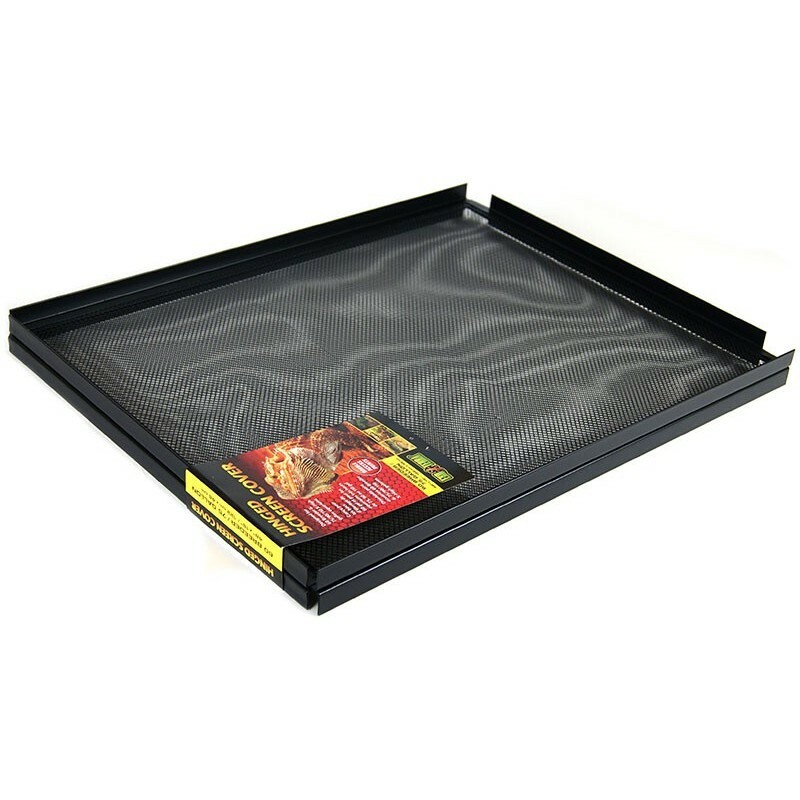 Exo Terra Hinged Screen Covers are available for most aquarium sizes.